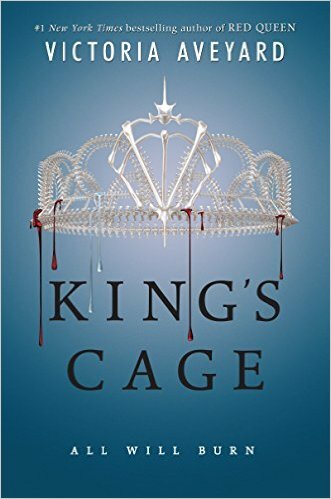 In honor of quickly approaching release date of King's Cage - the highly anticipated third installment of the Red Queen series, I thought it would be good to refresh our memories with a review of the first two books and share some thoughts about what I'm hoping to see in the third. If you're not already familiar with the Red Queen series (have you been living under a rock?) this is a great time to familiarize yourself with the books before the third book comes out. Mare Barrow is a red blooded girl, living in a land of Silver Rule. In a world where red-blooded common folk suffer at the hands of the elitist silver-blooded rulers, Mare does what she can to keep her family alive in the brutal, desolate community she lives in. Fated to live in her small impoverished town or face certain death fighting in the King's war - she's doing all that she can to avoid being sent away from her family. When, in an unexpected twist of fate, Mare displays abilities that only the silver blooded elite posess she is whisked away by the Royal Court and betrothed to one of the Princes under the guise of a lost silver princess in an attempt to hide what she is - red blooded, but with a silver ability - from the rest of the world. While in the Royal Court, Mare has a role to play and is expected by all to play it well. But as she becomes more involved in the court of the silver rulers, she begins to question her loyalties and her heart. Using her position in the court as a way of gathering intel - she secretly joins the Scarlet Guard, a rebel group of red bloods who are organizing the one thing that could change the sway of power and their world, a red rebellion. Mare's capabilites, heart and loyalties are tested in this fast paced, dazzling novel. 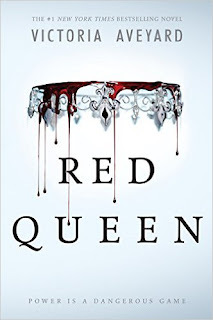 I read Red Queen very quickly and loved every second of it! 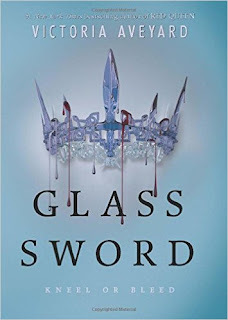 It's very much in the same vein as other dystopian novels like The Hunger Games and Divergent, so while the plot is fairly recognizable there were a lot of elements that kept me reading. Mare's ability is interesting, she seems to be a fairly strong character and the supporting cast seems to be fairly well developed. Mare also has a lot of flaws and for the most part this works in her favor except the glaringly obvious fact that she's a TERRIBLE judge of character. The end of this book leaves the reader just wanting more - more, more, more! 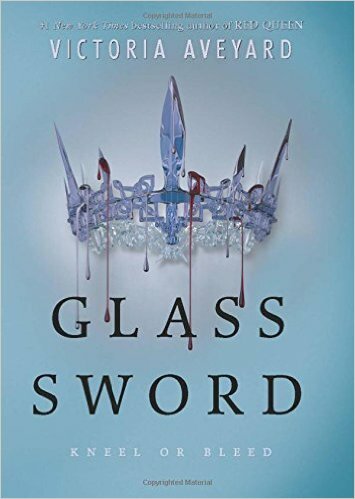 Glass Sword picks up exactly where Red Queen ended. Cal and Mare have barely escaped Maven’s kill order only to find themselves picked up by the Scarlet Guard. While Mare is among those with the same goal as her, Cal is not. Reeling from the betrayal of his brother, he's at the mercy of the Scarlet Guard and the plans they have for him. Because of what she is - Mare could be used as a weapon in anyone's court, not just that of the Silver's. When she discovers that there are others like her, she and Cal set out to find them and convince them to help bring down King Maven and aid the Scarlet Guard with the Red Rebellion. Maven is mad. Really mad. And he'll do anything to get Mare back. Even if it means hunting and killing those like her. Ultimately, as the players take their places, Mare is forced to reconcile between what her heart tells her and where her loyalities lay. How far does Patriotism go, before it becomes terrorism? And how can Mare save those who mean the most to her without them becoming collateral damage in a war that she never wanted? I asked for it - I wanted more, more, more and that's exactly what I got. 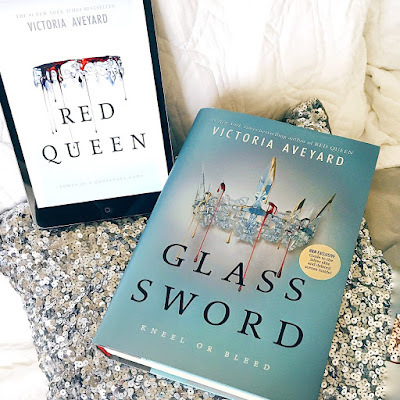 Victoria Aveyard really expanded Mare's world with this book and introduced so many new elements that it verges on chaos. We have an imminent war, multiple rescues, an enraged King, slow burn romance/weird love triangle(? ), and now multiple political interests vying for the power that the "newbloods" can offer. It's insane and I have no idea where to look next! I wanted to smack Mare in the face with her own book. Anyone else? Cal is obviously the best - but I wanted to see him stand up to Mare a little more often. We are headed in so many directions by the end of this book that I don't know what the point is. And then there's the last sentence. WTF, Victoria Aveyard!? You can't just do that to a person and then make them wait another year for the next book! Someone please send help. I'm not sure how I'm going to make it through this one if anything terrible happens. Cal grows a backbone. You had better believe that I am hoping for a well calculated rescue from Cal but in the process I really want him to stop letting his feelings for Mare boss him around. And now that Mare is actually out of the picture for a while, I'm hoping we get to see him do what he does best - which is fight. VA - please make our golden boy worth all the hype. I want a more cohesive plot line and all the little sub-plots to fall neatly in line behind. There were too many sub plots in the last book and it made everything overwhelming and confusing. What are we doing? Saving newbloods? Starting a war? Killing Maven? Working with some random country? I don't know. Please make it easier for us mere mortals to follow along. Perspective from someone other than Mare. I think we're going to get this because other wise we have no idea what is happening with Cal's group. I'm really looking forward to getting some fresh perspective from the other characters. Mare stops whining. Please, just make it stop or I will be forced to smack her upside the head with her own books. Ok - so probably we won't get that last request until the final book of the series (did I mention there are four? ), so I'll settle for a really good maiming. If you're as excited to see what becomes of the characters in the Red Queen series as I am before the book comes out, you're in luck! 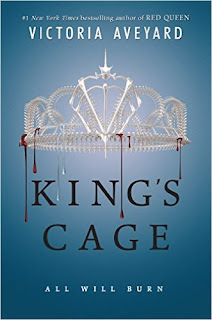 You can get a jump on King's Cage and read an exclusive excerpt of the book over at Epic Reads. In the meantime, get ready for what I expect to be a crazy ride on the Victoria Aveyard Red Queen Train beginning February 7.